Here is this week's third and final article on e-commerce: Starting an e-commerce business is easier than ever. Once you've found a good idea for your business, you can get up and running over the course of a weekend. Many popular web hosts now offer one-click installers for popular online store applications, so all you need is the hosting, a domain, and a payment processor. The tricky bit is attracting customers. Now that it's so easy to start a store, you have to work a lot harder to stand out from the competition. You can't count on the idea of "If you build it, they will come." A solid marketing strategy is essential. When you start a bricks and mortar store, marketing is still important, but you can start small and still have a chance at surviving. If you're lucky enough to have a store on a busy high street, you can expect to get some passing trade. If your store is a little more out of the way, you can print up some leaflets and deliver them yourself to keep costs down. Marketing an online store is different. There are a huge number of marketing options, and you'll need to think carefully to decide which ones are best for your business. If you're selling a virtual product, then you don't need to worry about where your consumer is based. All you need to do is find ways to reach people that are interested in your niche. Adwords, banner advertisements on niche websites, and affiliate programs are a good way to do this. If you're selling a physical product, then you have shipping costs to worry about. You may want to limit the places that orders can come from so that you can keep shipping costs down. One good way to do this is by running geographically targeted marketing campaigns. For example, you might decide to run a competition aimed only at people from your country. You can gather their email address and phone number, and ask them to opt-in for future marketing. This gives you the freedom to use a business SMS service or some mailing list software to send marketing messages to entrants at a later date. Bulk SMS marketing and email marketing don't cost a lot of money, and they can convert pretty well. The trick to getting those methods to convert is to make each message valuable. Don't just send "check out our store!" messages. Instead, use your email list to send tutorials and topical news coverage and mention your products in passing. When you send business SMS messages, make sure they're interesting and enticing - for example, send a message to tell people about a big sale, or say "Thanks for being a member of this list for three months, here's a 25% off coupon code". It can take a few messages for people to respond. Send messages with a steady tempo (once every couple of weeks, for example), and don't spam. Build up a relationship with the members of your list, and eventually they will become regular customers. About The Author: Wayne Barker writes for Collstream who are experts in bulk SMS marketing and voice broadcasting. As promised, here is the second of the three articles on e-commerce: Having a good ecommerce web design is very important in the current world. For any company to make its online presence felt by potential customers, clients and competitors, it must have a good web design. Nevertheless, having a good web design alone is not enough. Your website needs visitors to help your company achieve its goals. Success of an ecommerce website depends on its ability to increase your online visibility. It should also have features that will make visitors want to spend more time as they get information about your company and its services or products. SEO ensure that your website has increased visibility by making it friendly to the search engines. 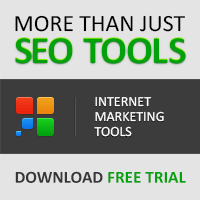 Basically, SEO ensures high rankings for your web pages. High ranked pages on the search engines get more customers. This translates into more sales for your company. In addition, ecommerce websites differ depending on the kind of services and products your company is offering. SEO ensure that you get an ecommerce web design that is specifically designed to suit your company. Although some people think SEO is a simple task, this is not usually the case. It requires time and professional skills to come up with a good quality and effective ecommerce website. You get an ecommerce website designed strategically to increase your business visibility to the target audience. Your website use keywords and phrases chosen after research to ensure its effectiveness in reaching your target audience. SEO services ensure that your company gets returns from its investment within a very short time due to the increased visibility. SEO experts know how to use different techniques in developing a website and also ways of avoiding penalties of the search engines such as being banned from search results. Generally, success of a website in achieving its goal lies on the strategies employed in its development. Good SEO practices in developing an ecommerce website should ensure that strategies of promoting your service or product are always included in the design. The major reason for having a website is to offer information to internet users about your products and services and eventually drive them into purchasing them. Nevertheless, you could be selling a good product through an ecommerce website but if this website is not promoted properly, many online shoppers may never know about it. Promoting an ecommerce website is one of the major roles of SEO experts. However, although there are many providers of SEO services today, not all of them have what it takes to deliver quality services that many clients are looking for. Therefore, carry out your research before hiring a professional for your ecommerce website development project. You may consider projects they have handled in the past that is similar to yours. Find out if what they delivered for such clients is what you are looking for. This way, you will get an ecommerce web design that will enable your company achieve its online goals with ease. 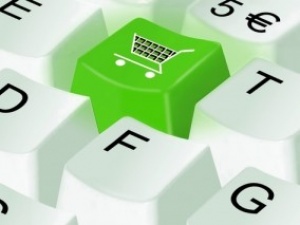 Until the third and final article on e-commerce on Friday, enjoy the rest of the week! I hope you all had a fabulous weekend. This week and because I haven't covered this topic before on the blog, I will be publishing three articles on e-commerce. Today's article by our guest author, Wayne Barker will provide vital information on setting up your very own e-commerce business. On Wednesday, there will be an article explaining the benefits of incorporating SEO within the design of an e-commerce website and finally on Friday, there will be a second article by our guest author, Wayne Barker which will provide information on marketing your e-commerce business. I hope you enjoy reading these three articles and as with all my blog posts, don't forget to share and leave me and our guest authors your valued comments within the comments section. Remember, your feedback is very important which not only shows that you found these posts helpful, but also helps to determine future blog posts on Derek's Home and Business Blog. 1. Is Your Idea Actually Good? If you're setting up a store, it's because you want to sell something. Before you go through the process of building a site, accepting payments, and sorting out efulfilment, do some market research. Are you sure your product is good? Would people want to buy it? If you're planning on dropshipping, selling handmade goods, or selling ebooks, you might want to use an existing store (eBay, Etsy, or Amazon respectively), instead of investing in tech yourself. Yes, existing store fronts charge fees, but in return for those fees your product will be put in front of far more people than you could ever hope to attract to your own website. If you're sure you want your own store, the next thing to figure out is who you want to sell to. This will affect the domain name you buy, and the payment options you take. If you're aiming at a specific country, then a local top level domain (such as .co.uk for the UK, or .de for Germany) is a good idea. If you're aiming internationally, you'll want a .com. For payment options, most people would instantly think of Paypal and Google Checkout, but that doesn't mean they're the only options out there. If you're aiming your product at young people, you might want to accept UKash or other currencies that are designed for people who are too young to have a credit card. 3. How Will You Ship Your Product? 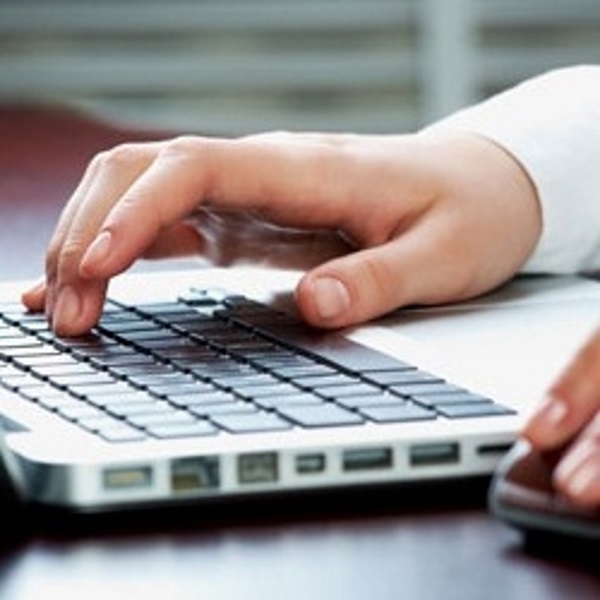 The issue of internet fulfilment services can make or break a company. If your website takes off and you get a lot of orders, will you be able to fill them in a timely fashion? Storing your product in your spare room and boxing up orders every evening before bed will work while your company is young, but it's not something that you can sustain in the long term. Outsourcing your internet fulfilment is a good way to protect your business from the teething troubles that are all too common as a company starts to attract more attention. Outsourcing can be a scary proposition at first - especially if your business is a labour of love, but it is a good thing for your business. Specialist packing, shipping, and even customer service companies can usually provide better service than you can in house, and for less money too. This means that you, and your customers, gain from it. About The Author: Wayne Barker writes for Hallmark who are internet fulfilment services experts. Until the next article on Wednesday, have a fabulous week! There are few things more important to a business than its reputation. A good reputation can bring in new customers and help to keep old ones satisfied. 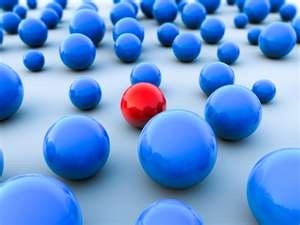 A good reputation can also help a business change and grow, possibly merging into a bigger and better version of itself. A bad reputation, however, can do just the opposite. And, more than ever before, a negative reputation can stay with a business and affect its growth for years to come. 1. More people have access to private information than ever before. Today is the age of complete and utter access to information. While there are many things that are still kept private, there has never been a time in history when more strangers have had higher access to private information about other people. As a business owner, this means that potential customers can look into almost everything about your business. They can see when it was founded, how your prices compare to other retailers, and whether or not your business has a strong online reputation. On top of this, they can find out as much information as they like about you and your personal life. By searching for your name, customers can find information on the trajectory of your career, where you live, even you home phone number. While this may lead to Big Brother type fears, the real issue here for business owners is the fact that there is almost nowhere to hide your dirty laundry, unless you are already making the bug bucks and can afford a costly PR rep. You have no control over who has access to your online history. So, it's best to figure out exactly how your private information could detract from your business goals and do your best to work around it. 2. Nothing is reversible online. Most people think they have control over the information they share online. They assume that, when they post a photo or change their status, it will be available to others so long as it remains online. Then, once it's taken down, people will no longer have access to the content. This, however, could not be further from the truth. In fact, there is absolutely no reversing something you did online. Not only are online interactions and posted content often recorded (for example, the Library of Congress has recorded every tweet out there from the beginning of Twitter), once you post something, you are basically giving it up for free use to the general public. People are free to copy, save and re-post anything you put up online. Just because you take something down, it doesn't mean it's gone. Because of this, people often have to pay for things that they said or did years ago, even if the information is no longer available online. 3. Consumers can communicate and easily rate services. While the advent of sites like Yelp.com and Yahoo Business has definitely helped business in many ways, they also have the potential to greatly hurt a business, as well. The ability to place reviews and communicate about particular businesses on a wide scale is a fairly recent development. Before consumer review sites, people had to rely on word of mouth or organized reports, such as Consumer Reports, to determine where to put their business. 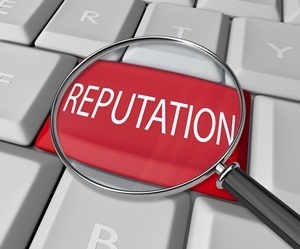 Now, business owners have to be very careful not to get bad reviews online. Because anyone can post anything they like about your business online, and because consumers are listening more and more to the opinions of other consumers before making purchase decisions, these types of reviews can stay with a business for years to come. 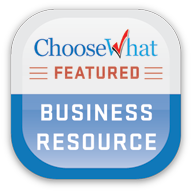 About The Author: Working for one of the best background check companies, Jane Smith offers insight and advice on the subject through her blogs. She welcomes you to email her your questions, comments or concerns at janesmith161@gmail.com. Do you like this article by Jane Smith? Has the reputation of your business been unduly effected? Please let Jane and myself know by leaving us your valued comments below. Coming next week on Derek's Home and Business Blog: Three articles on e-commerce. On Monday, there will be an article by our guest author, Wayne Barker which will provide vital information on setting up your very own e-commerce business. On Wednesday, there will be an article explaining the benefits of incorporating SEO within the design of an e-commerce website and finally on Friday, there will be a second article by our guest author, Wayne Barker which will provide information on marketing your e-commerce business. Until my next post on Monday when the first of the three articles on e-commerce is published, have a fabulous Summer Bank Holiday weekend! 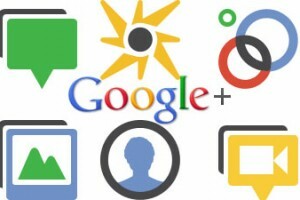 Google+ is a new social network that has now opened its arms for business marketing. It has the capability of giving good competition to Facebook which is considered the best social network. Many aspects of Facebook and Google+ are very similar. There is a +1 button for Google+ which is same as the like button on Facebook; this +1 button allows you to share different types of content and also improve the quality of your own search results. They are listed at the right side of each title; so when a user logs in, he/she will be able to click on the button and show their approval for the listing. All the sponsored ads that are shown on Google+ have a +1 button adjacent to the ad. This button is compulsory and there is no way to remove the button from the ad. Any click on the +1 button will not be counted for the pay to the ad sponsor. But the best part here is that the +1 button has no effect on the quality score of the ad. The viewers of your ad are able to see the +1 stats for your ad. Greater targeting: Google search results are the most widely used results. Therefore, marketing your business here would ultimately help you in reaching your target audience. Speed: Since you use paid search for your business marketing, your ad is being displayed just within few hours on the Google's search result. Therefore, you need not wait for a longer duration for your ad to be live. Control: It is very easy to achieve direct visitors to the relevant page on your site and with the management of Google+ you can have proper control of your budget. Predictability: By using this, you can get a good traffic to your site along with predictable ranking and costs associated. Therefore, the ranking and costs would be more stable and predictable when compared to SEO. Minimise wastage: With right matches according to Google Adwords and by using phrase match combining with negative keywords, you can make sure that your ad will be displayed only for the relevant products only. Greater conversion rates: Usually the conversion rates of PPC are higher than SEO and they are even much higher for display ads. Effect of Branding: Tests have proven that when there is branding affect associated with PPC, it will give positive results even if users don't click on the ad. This will have an impact on the brand awareness during launch or campaigns. Using the above resources you can easily understand how Google+ is integrated into a search, so you can start managing your online marketing strategy easily for the search plus. Article written by Kate Ford, a Tech writer from the UK. Catch her @thetechlegend on Twitter. Do you like this article? Please let me know by leaving your valued comments below. How do you get a business to succeed? How do you transform your start-up company into big business? These are questions that any entrepreneur must ask themselves as they start of their jaunt into the business world. Maybe you have an idea, a great idea that you are excited about. You might even have a foundation, the beginnings of a company, but where do you go from here? For help answering some of these questions, there is a relatively new tool available to you, known as business coaching. Some people are quick to dismiss the use of a business coach, but it would be foolish to do so. Although still relatively unknown, business coaches are an emerging trend that is here to stay. As with anything, there is a clear advantage to be gained from talking to an expert in the field. For this reason, you are guaranteed results from using a business coach, and their emerging popularity is evidence of that. Perhaps you cannot see a reason to use a business coach. Although helpful for struggling startups, business coaches do not exist solely for those businesses that are truly in "need" of help. Just as athletes at the top of their game utilize coaches to maximize their potential, any startup company can benefit from the help of an expert. A business coach can be useful in answering questions that you have, helping you to make and achieve goals, or even just being someone with whom you can talk through your ideas and strategy. If you want a second opinion, why not make it a professional one. The rising prominence of business coaches has greatly increased the availability of quality coaches at the click of a button. Indeed the best way to find a coach is probably online, and there are a lot of great companies that provide this service with aplomb. One example is noomii.com, a site which not only provides you a comprehensive database of qualified coaches (business and other), but allows you to set up consultations with up to five coaches before you pick one. They are also happy to do the hard work for you, matching up your top five candidates based on your business goals. 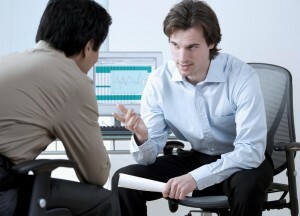 Whether you think that your startup needs help or not, there is no doubt that you can benefit from business coaching. Hiring a coach will give you the unique opportunity to have someone evaluate your business from an objective perspective, providing you with invaluable advice to help you continue to move forward. When it comes down to it, you invest a minimal amount of time and money into finding and consulting with a business coach, and your business reaps the rewards. In the long run, it will be worth the investment, and your company will thank you for it. With business coaches becoming more and more popular, now is the perfect time to join the movement. Sometimes making regular updates for your blog can become a little stale, and it's easy to rely on a few "tried and tested" ways to post. There are many ways to make your posts more creative, and a little effort may pay rich dividends in keeping your readers interested in what you want to share. Harnessing the power of language is essential if you want to keep your blog creative. Creating an eye catching title for your post is key to attracting the attention of your readers. Research shows that 8 out of 10 readers will read a blog title, but only 2 out of 10 will go on to read the post. Unless your title stands out from the myriad of other blog titles out there, few will bother to read on. Careful phrasing of your title can make all the difference! A direct rhetorical question will immediately make your reader feel more involved (e.g. "Are you ashamed of your cooking skills?"). Framing your title as advice is also likely to attract attention (e.g. How following this advice saved me a fortune). Creative use of numbers is another popular strategy, such as "10 sure-fire ways to save time when cleaning", or even using "shock" tactics such as "Five alarming facts about fizzy drinks". It's important to use interesting language and vocabulary throughout the rest of your post, but attracting your reader's attention in the first place is essential. If you want to build up a regular audience, you will need to use a host of different formats to stop your readers from getting bored. Try to think of alternative ways to present your post. For example, a recount of a day out could be written as a diary entry, or the story of how you landscaped your garden could be presented as a "How to.." guide. You could write your post as a letter, perhaps to a friend, or even to a famous person or historical character. Why not consider a real or imaginary interview? Or perhaps make use of a list - for example "Five gadgets I could not live without". You could even write a humorous recipe ("A recipe for a perfect marriage"). Once you have begun to ring the changes with your format, you will find more and more creative ways to structure your posts. There is no doubt that the look of your blog is as important as the words you use. Take time to think about the ambience of your blog. Many blog hosting sites provide a variety of templates to get you started, but do take time to personalise yours so that it reflects your character or the theme of your blog. Creative use of photos can work wonders in terms of making your blog more attractive. This can be as simple as sharing your own photos (for example, travel photos), but there are many other ways to use images on your blog. 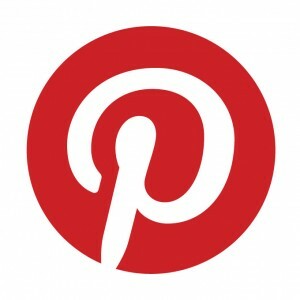 Sharing favourite photos can also be interesting for your reader e.g. "My ten most inspiring sports photos" - this could then be linked to other social media sites such as Pinterest. However, do be sure to credit any photos which are not your own! Images can also be used as a starting point for discussion or further sharing, perhaps by using a news photo about a current event and inviting discussion, or posting a photo of your latest craft project. As well as using photos, you can also make use of other multimedia on your blog. You could upload video you have taken of a family event, or something you have seen when travelling. You could provide a link to online video and use it as a starting point for discussion or sharing. Some bloggers will add audio blogs or podcasts to their blog. Offering a variety ways to communicate with your reader is also likely to avoid them losing interest. Sometimes it can be interesting to involve others in contributing to your blog. For example, you could ask someone to make a guest posting and invite comment from your readers. This can bring a fresh perspective to your blog and perhaps present a different viewpoint from your own. Contributions could be in a "standard" blog posting, or something more creative such as a poem, short story or article. You could also use content you have found elsewhere but, of course, you will need to make sure you don't infringe copyright and that you credit any external content. Most bloggers welcome feedback from their readers and blog sites provide a means for leaving comments about postings. There are lots more creative ways to encourage your readers to participate. For example, encouraging your readers to add to your post - e.g. adding their own image to "My favourite travel photo" is a good way to help them feel involved. Posting a list and then inviting others to add their own list can generate discussion - for example, "Ten books every child should read" or a "bucket list". Starting a longer running thread is an interactive way to involve others - maybe by starting an book circle, a recipe sharing thread, or everyone sharing a small cross stitch chart they have designed. Everyone will then benefit from the ideas of others. Once you have begun to think about more creative ways to post on your blog, you will find that your ideas will snowball and you should build up a loyal and proactive readership. About The Author: Amy Harris is a writer for FinancialTraining.co.uk which helps British and international students find the right financial courses in London and the UK. Amy is an American expat herself, and enjoys helping people with their careers and financial advice. Did you find this article helpful? Do you have any tips to share? Please let Amy and myself know by leaving us your valued comments below. Traditional marketing methods, such as television commercials, direct mail advertisements and print ads are effective for drawing consumers to a business, but some businesses are looking for ways to increase interaction with customers. As social media marketing becomes increasingly popular for small businesses, those using it are becoming more aware of the importance and value of engaging consumers. Most any business will benefit from incorporating social media into its marketing plan. The process of doing so doesn't have to be time-consuming or stressful. By starting slowly and building a solid plan, a small business can create a social media marketing plan that engages consumers and increases profit. Encourage Response. Text marketing, Facebook status posts and blog posts encourage consumers to respond. Take it a step further by including an open-ended question that elicits answers other than "yes" and "no." Customers are often surprised to discover the comment they left on a Facebook business page has received a response from the business. These communication efforts attract consumers who want something more than just an attractive website. Initiate Communication. The small business that waits for consumers to initiate conversation may end up only hearing from its customers when they have a complaint. Although it's important to know when something is wrong so there's an opportunity to correct it, it's better for businesses in the long-run to foster positive communication by reaching out to customers. Provide consumers with the opportunity to become engaged in communication by using social media venues that encourage interaction. Facebook is an excellent place for that, but it's not the only place. Set up a business profile on LinkedIn and engage consumers there, too. Create a Ripple Effect. Word-of-mouth is still an effective way to spread news and information about a business. Those who are tech-savvy provide value to the consumer, and knowing how to draw them in can help spread word of their business around the world. Tweet promo codes to consumers who have signed up to receive them and encourage those consumers to share the codes with family and friends. Add Value to the Consumer's Experience. To create value, a business has to get to know its customer base. Understanding demographics can help with this, and so can a good customer database. Businesses can also survey customers on their social media uses to determine what platforms are used most predominantly and what type of information consumers want to receive. By doing so, a company can tailor the information they provide to the specific needs and interests of its customer base. Reach Out with Customer Service. It's smart business to follow up with customers to ensure a satisfactory experience. Technological advances have made it easier for businesses to hide behind their computers and lose the personal touch that many customers still value. Use email follow-ups or a traditional method such as a phone call to ensure customer satisfaction and express gratitude for the customer's patronage. 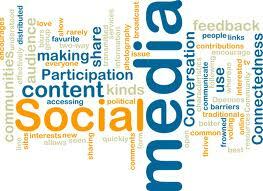 An effective social media marketing plan must be consistent and valuable to hold the interest of the consumers. An occasional blog post or random Tweet won't keep the attention of consumers the way regular posts will. Likewise, excessive emails, posts or Tweets that border on spam will drive potential customers away. A well-balanced approach that provides value helps businesses engage consumers. About The Author: Lindsey Harper Mac is a professional writer living in the Indianapolis area. She specializes in writing guest posts covering social media and education. Currently, Lindsey is completing work on her master's degree. Did you find this article helpful? Please let Lindsey and myself know by leaving us your valued comments below. If there is one thing that businesses must get right if they are to drive traffic to their website, it is their content. In the world of online trading the old cliché that content is king really is true. If you consistency produce good content, which offers value to the reader and which uses the right keywords and phrases, you will undoubtedly see the number of visitors to your website grow. Of course, good SEO copywriting is not easy to produce and it requires expert knowledge and skills which you may not possess. It also requires a great deal of time to make your copy word perfect and this is often not possible when you have a company to run. Luckily, there are many great companies who offer high quality SEO copywriting services and they can take care of your content for you. SEO copywriting is one of the most effective techniques which can be used to increase traffic to a website. Text, blogs and articles are written and placed on the page in order to draw the attention of the reader and search engines. The most successful SEO content is that which offers value to the reader, as well as, lots of keywords for the search engine. If you simply place badly written, keyword laden text on your website, it will almost certainly get a lower ranking than a similar website which offers quality content and, readers will be less likely to stick around and make use of your services. By making use of professional SEO copywriting services, you can ensure that every piece of text on your website is optimised for search engines and people alike. A professional SEO expert will have the knowledge and skills required to create effective copy which delivers real results and that is why they are worth their weight in gold. There are many aspects to creating successful SEO copy. One must first analysed keywords, to determine which targeted keywords will get the best results. Then, the subject which is being written about must be researched before writing can start. This information must then be organised into a logical order before writing can commence. When writing, it is important that grammar and punctuation are correct, as this will reflect on the company and could result in a poor search engine ranking if not done well. As well as ensuring that grammar is correct and that the copy is compelling, SEO copywriters must also think about layout. Working out how often a keyword should appear, how many sub-headings to use and how to format content is just as important as the writing itself and can make a real difference to the amount of traffic a website receives. Finally, SEO copywriters must keep up to date with all of the latest algorithms used by search engines if they are really to see results. So, as you can see, it really does take a lot of hard work and skill to increase traffic through SEO copywriting and that is why it pays to use professional SEO copywriting services to get the job done right. About The Author: Mark works for Integrity SEO Experts; we help many businesses across many industry sectors to understand what they need to do to achieve results online. 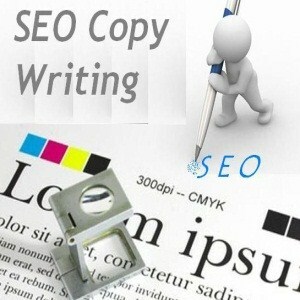 Providing all services from link building to SEO copywriting services. For those tasked with handling a company's online marketing, there is all too often an over-focus on gaining in search engine rankings. This of course, is a very important pillar of online marketing efforts, but there are larger gains to be made in terms of marketing an overall brand that digital marketing is a perfect avenue for. Value-wise these opportunities afford marketers a chance to see huge returns for small investments of human capital. By incorporating an entire branding strategy as a focus of online marketing efforts, managers can grow and cement market positions throughout a number of targeted demographics. Branding is intrinsic in the success of any product or business. It is the public face and creed of a product or service and can create lasting loyalties and positions in markets. Every product or service you have ever used has a narrative associated with that brand. From the timeless Americana of Wendy's burgers to the young, hip culture of Mountain Dew. Branding is the sculpting of a business image, and is done through print, radio, TV and internet ads, alongside newer social networking platforms. A well done branding campaign cements yourself in the consumer's mind easier, and also gives them a reason to choose your product over another. A great example of this is organic fruits and vegetables. Side-by-side they appear exactly the same as non-organic goods, yet they cost markedly more. However, it is the story associated with the organic produce that convinces the buyer to pay more for the organic items. The biggest key to a successful branding campaign is to have a simple, concise message. The simpler the better, as to prevent any misinterpretations by the public at large. An easy self-assessment can usually help marketing managers find the best positioning of the brand. Begin by asking yourself about what a customer would want when shopping for your service or product. What integral factors would a consumer most focus on when assessing a company in your niche from a distance? By brainstorming answers to this question you will give yourself a foundation upon which to build your branding strategy. Anyone with any experience in SEO has dealt with clients who wouldn't make aesthetic changes to a site to help their rankings. Often saying their site design is beautiful and any changes to it would hurt their business. Despite typically having no empirical evidence on hand to advance this claim, this inherent belief is almost impossible overcome with clients. This is the equivalent of putting up the most ornate, informational billboard in the world, in the middle of a dense forest. Despite being a wonderfully crafted item it is doing a business no good for no one is there to see it. A visual "if a tree falls..." if you will. This is a trap to avoid with your branding, make sure people know this is the image you are looking to set forth. Once your management team has agreed on a branding strategy the next step in the process is to ensure that this image permeates every communique the company creates. In doing so you create a solidarity with the consumer and your marketing platforms. By having this simple similarity throughout marketing platforms you increase your brand awareness which in turn increases the retention rates of your ad campaigns in general. This connection is the key to making large gains through a marketing campaign. Many avenues with high-volume reach are very expensive in comparison to the possibilities of a well-thought online branding campaign. Even better, an online campaign carries with it the benefits of demographic targeting. Thus more of your ad dollars go towards the demographics you prefer. Couple this with the ability to fit online platforms to your branding strategy and the gains here by far have the highest ROI. Sites like YouTube, Facebook, Twitter and Pinterest (among others) all allow for the personalization of the company's page/channel/board to varying degrees. Take advantage of this personalization and use it to advance your brand strategy. Timeline photos on Facebook, fitting skins for Youtube Channels, careful attention to Pinterest images, and intelligent use of trending hashtags are all places to start with advancing your brand and thus awareness. If done correctly, these simple branding techniques can even act as linkbait and thus improve search engine rankings passively. Also, the content of your actual posts and messages also reinforces a brand strategy as well. By displaying different affiliations and actions related with the brand, a marketer solidifies the association of their product and a particular avenue of society. Almost all companies recognize that they need an empowered image or brand message to help stand apart from the cacophony of competitors in their industry. To do so it requires consistency and a simple, strong message. To help sustain this consistency, the brand strategy must be implemented across all online channels and platforms. By taking advantage of the personalization of a page/channel and controlling the messages you put out to conform with an overall branding strategy you can expect to see great retention levels, staying power, and stand out from the competition even better. All because you have stayed on message with your consumer base. About The Author: Thomas Farley is the CMO of a Dumpster Rental Company, he has been helping to implement large-scale branding strategies for over five years in various industries. You can follow him on twitter @nerf_mittens. Do you like this article by Thomas Farley? Please let Thomas and myself know by leaving us your valued comments below.